Hedgerows hum with bees and bugs. Wild, untamed honeysuckle winds through the English countryside, brightening the day and scenting the night. Fresh with rose and the aromatic, fruity twist of davana. Woody with moss. Warmed by sunshine. The Alchemy of Candles The Jo Malone London English Oak & Redcurrant Scented Home Candle is steeped in craftsmanship created by no less than 16 artisans on Lord Cowdray’s British estate. Hand-blended, hand-finished, hand-wrapped. 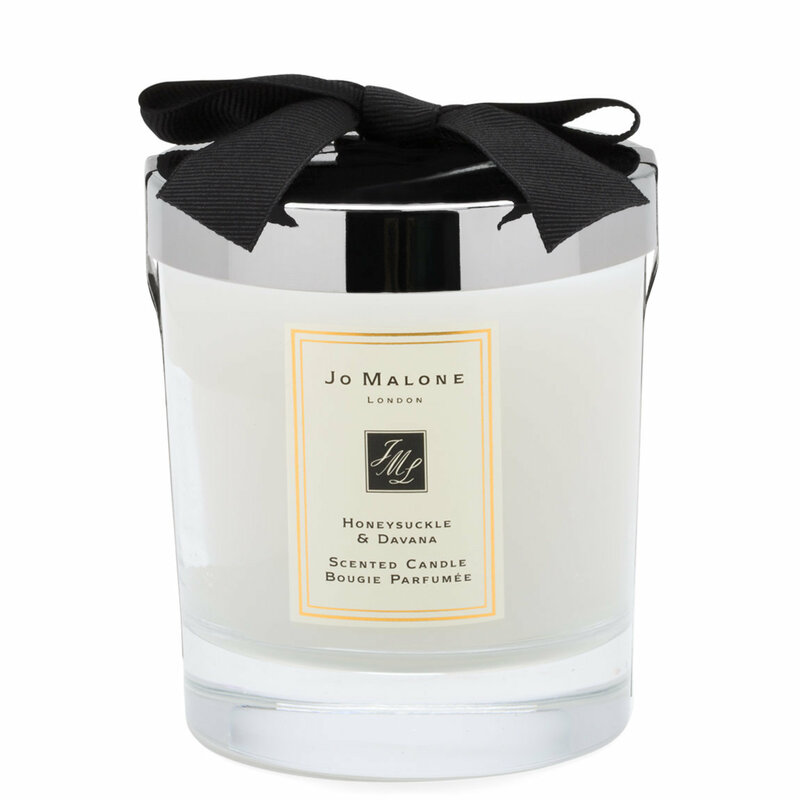 What sets Jo Malone's candles alight is this distinctly personal touch. Use individually or combine to calm or energize. The perfect gift for someone special. Or a much-deserved treat for yourself. For best results, please consider the following: Keep wick clean and trimmed to 1⁄4 inch/6mm. To prevent wax tunneling, always burn the candle long enough for the wax to melt and pool to the edge of the glass. Do not burn wax down to the base. The generous percentage of fragrance oil may cause discoloration and small air bubbles, especially with surrounding temperature changes. This does not affect the candle’s bouquet or lifespan. For safety, never leave a lit candle unattended or in a draught. Always protect the surface on which the candle sits.